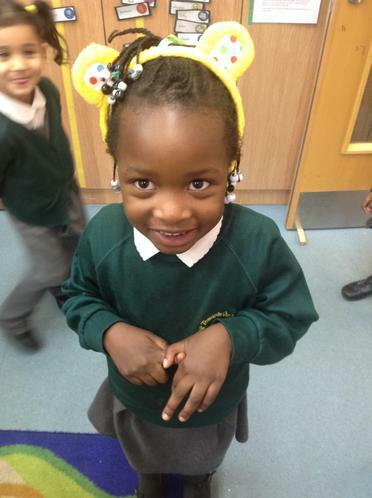 We love Pudsey Bear and support Children In Need! 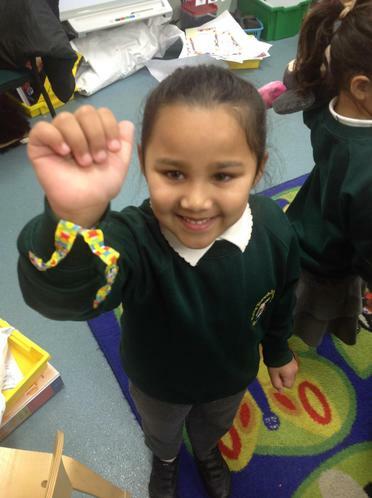 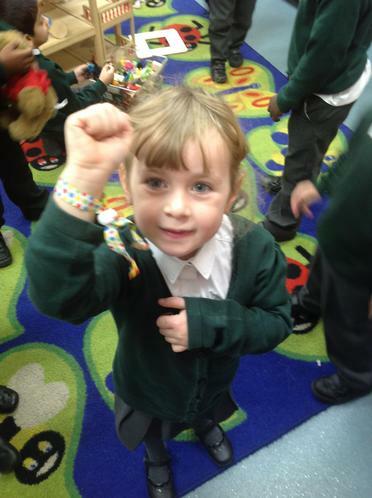 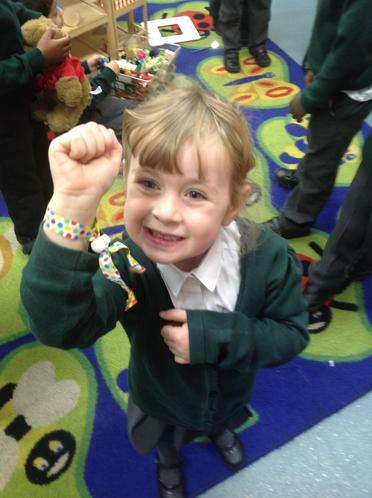 The children wore their Pudsey ears and bracelets today to show their support for Children in Need. 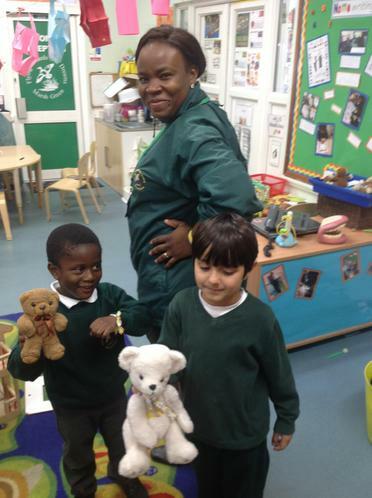 Some children even brought their bears in from home to share the day with. 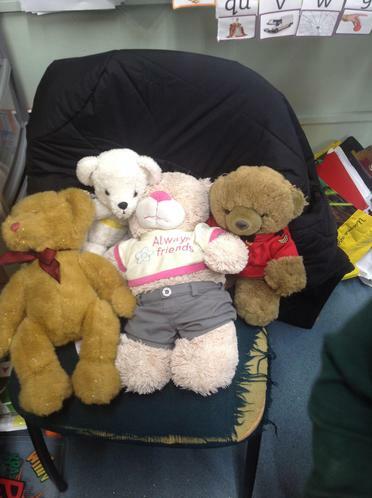 Mrs Rafter let the bears sit on her chair! 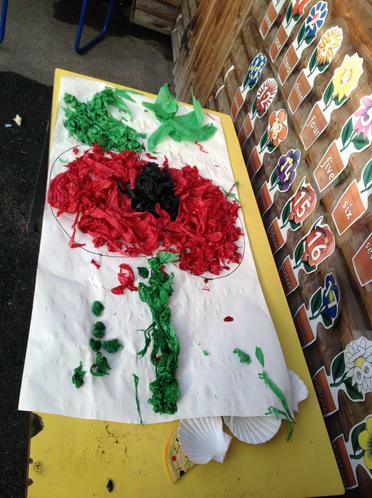 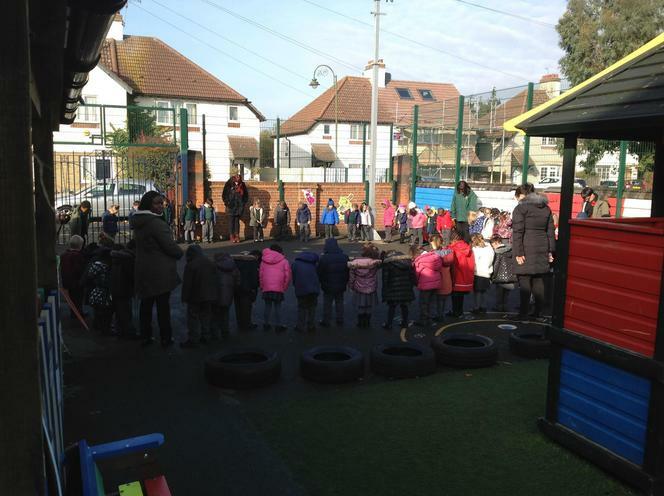 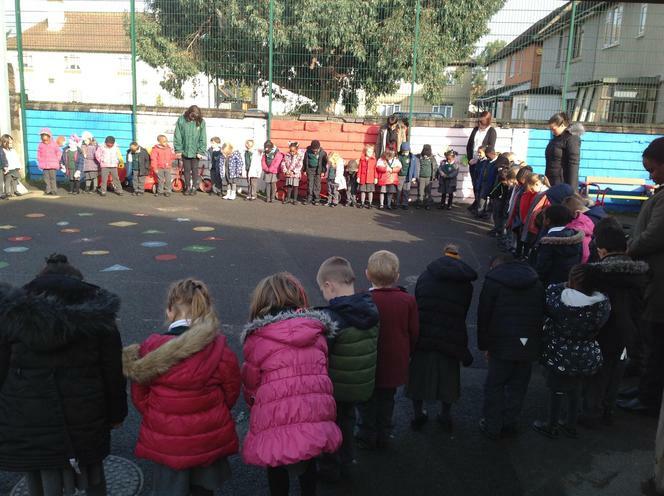 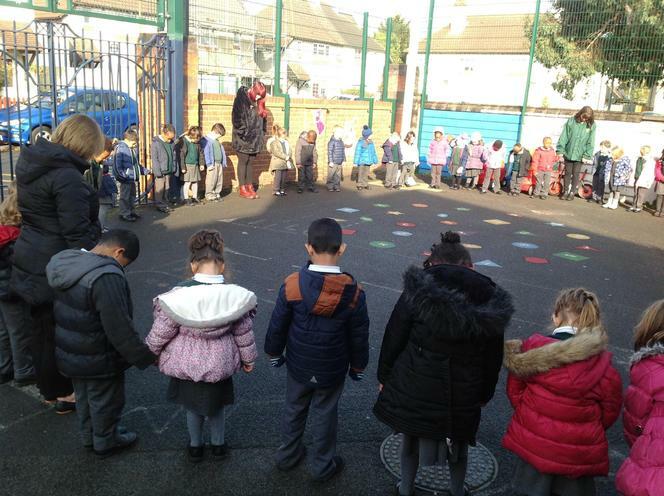 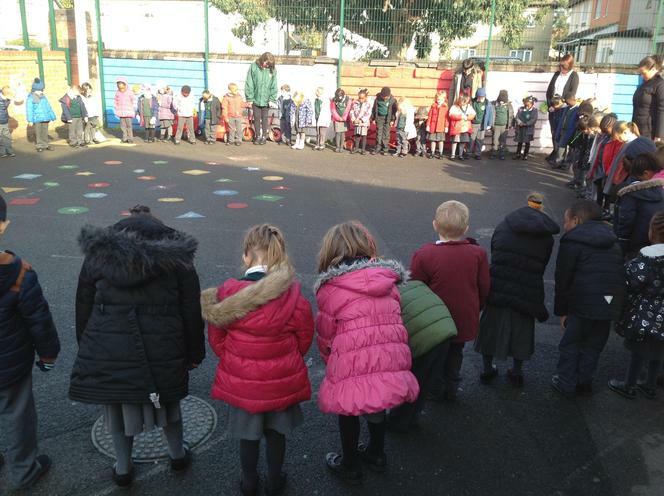 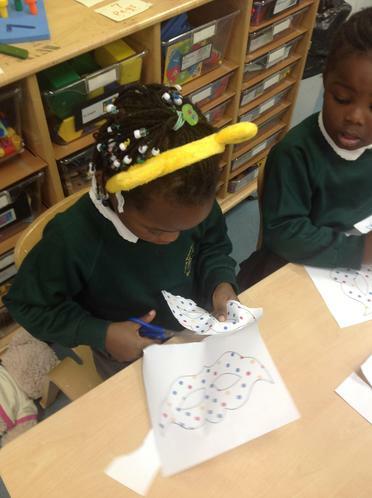 In the afternoon the children enjoyed the different spotty activities. 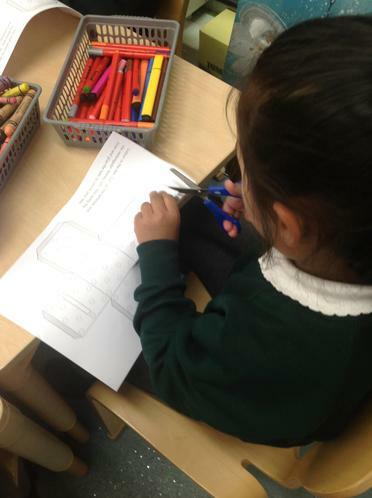 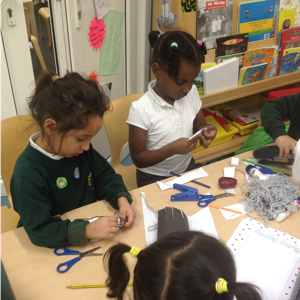 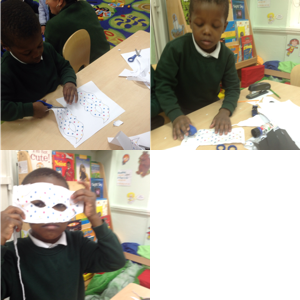 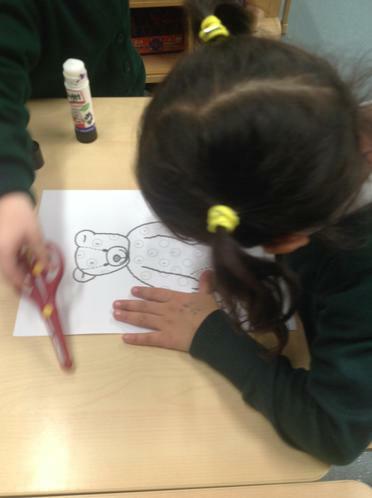 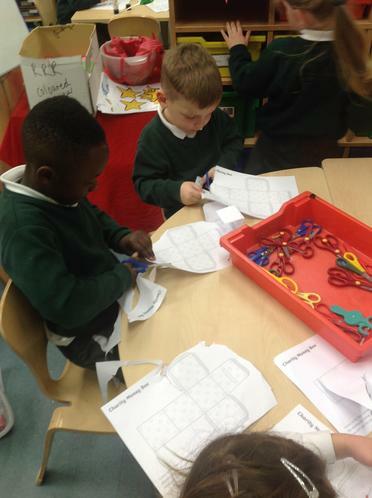 They made masks, cut out their own Pudsey bears and even cut out and made their own spotty boxes! 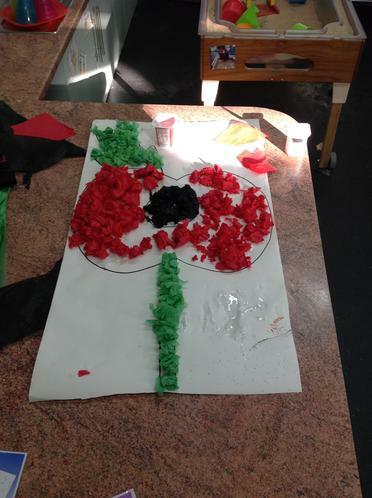 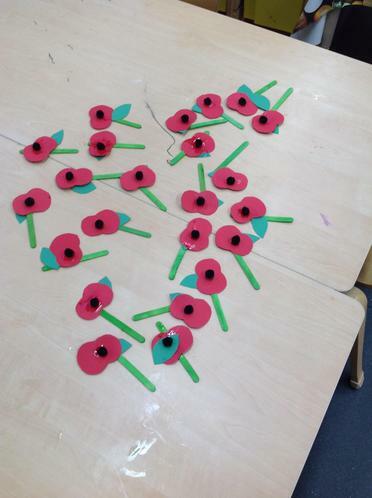 "We wear Poppies because the soldiers died for us and this is how we say 'thank you'" - Frankie.